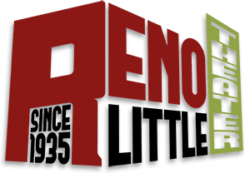 Reno Little Theater (RLT) is looking for an organized and enthusiastic Marketing & Development Coordinator. This position will work under the leadership of the Executive Director. The ideal candidate for this position is energetic, organized, passionate, and highly collaborative. Build funding relationships through a variety of fundraising efforts to develop new sources of income and maintain current revenue. Create, submit, manage, evaluate, and report on annual development plan to reach contributed income goals. Direct a comprehensive grants program to research, submit, monitor, and report on all foundation, corporate, and government grants. Identify, cultivate, solicit, and steward individual, corporate, and foundation donors. Plan, implement, oversee all fundraising and donor events. Create an annual publicity and community engagement plan. This is a full-time salaried position. Flexible Schedule. Must be able to work occasional weekends and evenings. No phone calls, please. Apply immediately. Reno Little Theater’s mission is to produce high-quality theatrical experiences that inspire, entertain, and enrich our diverse community. As Nevada’s longest-running community theater, we honor tradition while fostering innovation, creativity, and community participation in the magic of theater. Reno Little Theater is an Equal Opportunity Employer. RLT does not discriminate on the basis of race, color, religion (creed), gender, gender expression, age, national origin (ancestry), disability, marital status, sexual orientation, or military status. Job Categories: Arts and Culture. Job Types: Full-Time. Job Tags: community, coordinator, development, engagement, marketing, and theatre. States: Nevada.